Looking for interesting places to visit in Puerto Rico? Apart from enjoying plenty of fun activities, Puerto Rico boasts exceptional architecture, and historic buildings such as La Fortaleza mansion (pictured) in Old San Juan. If you’re wondering what to expect, Puerto Rico is home to warm and friendly people, delicious food, stunning attractions and laid back atmosphere. Vieques Island isn’t just Puerto Rico’s biggest island but also one of the most interesting places to visit in Puerto Rico because of the pristine natural surroundings and interesting attractions. Vieques boasts black sandy beaches, interesting wildlife and interesting attractions such as a 400-year-old tree, an old Spanish fort, two 19th century lighthouses, as well as two bioluminescent bays. If you’ve never been to a “bioluminescent bay”, the bioluminescent bays in Vieques are one of the brightest and largest in the world. If you’re visiting Puerto Rico for the first time, you wouldn’t want to miss a day trip to Vieques Island it can easily be the highlight of any vacation in Puerto Rico. The capital city of San Juan is the most popular starting point for a vacation in Puerto Rico, mainly because of the colonial buildings and forts such as El Morro and the Castle of San Cristobal, which are two of the most popular places to visit in San Juan Puerto Rico. One of the best ways to explore San Juan historic district is on an organized tour, especially if you pushed for time or want to learn about the history. 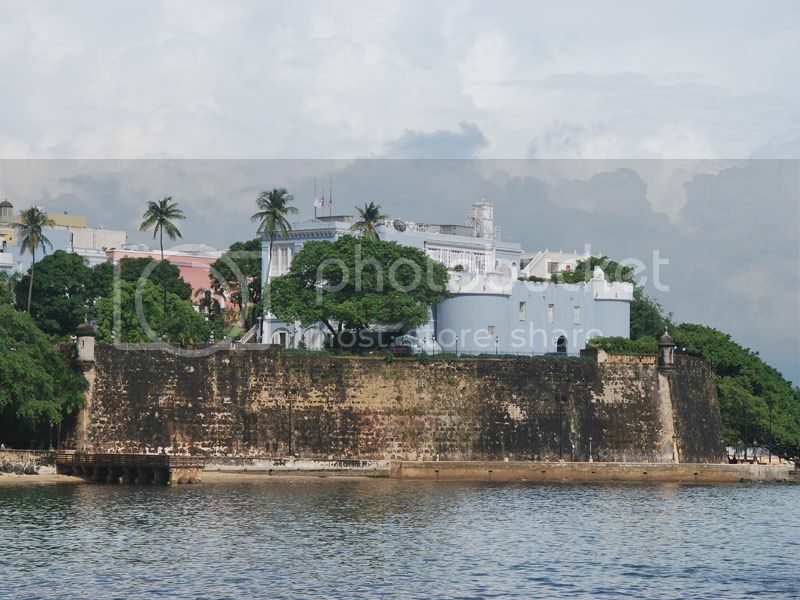 Otherwise, you can take a self guided walking tour San Juan historic district and visiting the old city walls of Old San Juan and a El Canuelo Fort where you can get stunning views of San Juan Bay. A trip to Puerto Rico wouldn’t be complete without visiting the magnificent El Yunque rainforest and explore the lush vegetation, waterfalls and breathtaking landscapes. Back country camping at the forest is a great way to soak in all the sights and attractions that El Yunque has to offer, although without many amenities nor facilities, it's not for everyone. Hiking through El Yunque is the way to go and you'll be able to photograph plenty of wildlife along the way such as the famed El Yunque Coqui frogs. If you’re wondering about a day trip from San Juan to El Yunque, the El Yunque Forest is just 50 minutes drive southeast of San Juan if you’re planning on using car rental. As a side note, El Yunque Forest is located near the town port of Fajardo where you can also catch a ferry to Vieques Island. Camuy Caves Park is another of the must-see attractions and one of the most interesting places to visit in Puerto Rico. The caves are undoubtedly, one of the most amazing natural attractions in Puerto Rico and one of the world's wonders.. The cave system is one of the largest in the world boasting hundreds of caves and sinkholes, though not all open to the public. If you’ve always wanted to experience the interior of a cave and see the impressive opening of a sinkhole, be sure to add Camuy Caves Park to your itinerary, as it’ll be one of the most rewarding day trips that you can take in Puerto Rico. Camuy Caves Park is located in the western side of Puerto Rico near the towns of Lares and Quebrada. If you’re based in San Juan or Ponce and are using car rental, the caves are located around 60 minutes drive west of San Juan and 70 minutes drive north of Ponce. The city of Ponce is located in the southern region and it is home to beautiful cobblestone districts and stunning buildings. Ponce is one of the best places in Puerto Rico to soak in traditional Puerto Rican culture as it is less touristy than San Juan, and also marvel at beautiful Spanish colonial-style architecture. Las Delicias Square is the focal point and the heart of the city and where you’ll find Ponce Cathedral and other important landmarks such as the statue of Luis Munoz Riviera and the colorful, though, rather peculiar Parque de Bombas Museum(pictured).